This looks a trip back to the bad old days of subcompact cars. Boxy proportions, lots of straight lines and black plastic where the should be glass (why did Nissan have to start that trend?) Hopefully this is not the bellwether for future b-segment design. Yuck. There's too much horizontal stuff on the front. Very bleh shape. Blacked out C pillar is baaaad. If this Fluidic sculpture 2.0 is supposed to be an improvement, it's not making a good impression (the new sonata is more dull as well). I disagree. This is miles ahead of the current i20. Last edited by pjl35; 08-12-2014 at 03:09 PM. Front is not that bad, is slightly better than current i20 but that rear pillar plastic bit feels weird and not very hyundai like. In fact, the car feels more like a rebadge of a Citroen for some reason. The overall design doesn't seem exciting and feels like it was designed long ago and now just made it to production. I'm getting some serious Citroen vibes from this car. It seems like Citroen gave Hyundai a car and they just re-nosed it. Yeh, it definitely has a Citroen vibe to it. It's a significant step forward compared to the current design, but the blacked out C-pillar looks plain strange, not to mention pointless. There is some Citroen vibe, I agree, and it is better (though I think both were nowhere near the top of the segment style wise), but just like the new Sorrento, this seems a bit conservative and play safe (the blacked out C-pilar apart). Again, not offensive, but after some decent design efforts from Kia and Hyundia recently, this seems like a step back somehow. I think it borders on attractive looking. I like that it's not a styled on acid design like so many small cars are. I think it looks more like a Citroen than the C3 looks like a Citroen. 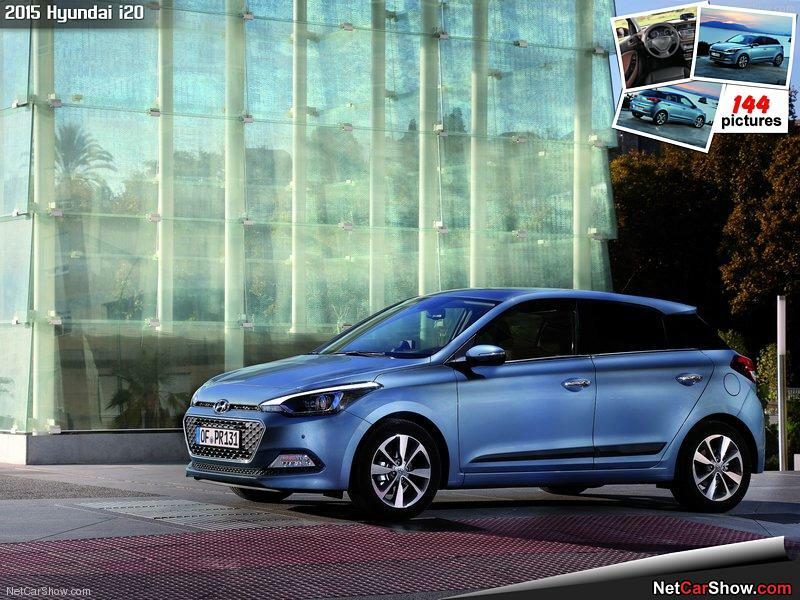 Also the new i20 needs is a windshield that stretches from the headlights to the tailights, and it would be set.